B.S., M.S., Ecole Normale Supérieure, France, 1991-1994. Ph.D., Ecole Polytechnique, France, 1996. Habilitation Degree, University of Paris VI, France, 2000. 1996 – 2001: CNRS Research fellow, Ecole Polytechnique. 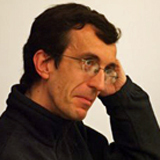 2001 – 2005: Associate Professor, University Paul Sabatier – Toulouse III. 2005 – 2007: Associate Professor, University Paris Diderot – Paris VII. 2007 – 2016: Professor, University Paris Diderot – Paris VII. 2016 – present: Professor, Ecole Polytechnique. Blaise Pascal Prize, Académie des Sciences, 2007. Felix Klein Prize, European Mathematical Society, 2008. Junior member, Institut Universitaire de France, 2008-2013. Schlumberger Chair, Institut des Hautes Etudes Scientifiques, 2010-2011 and 2013-2014. Invited speaker, International Congress of Mathematicians, Rio de Janeiro, Brazil, 2018. Founder of the start-up companies Sivienn (2014-) and Lusenn (2017-). Scientific consultant at the French Atomic Agency (Commissariat à l’énergie atomique). Affiliated professor, Ecole Normale Supérieure, Paris (2011-2014). Member of the scientific committees of the GdR MASCOT-NUM (Méthodes d’analyse stochastique pour les codes et traitements numériques) and Institut Cournot. Co-PI of the ERC advanced grant project MULTIMOD (Multi-Mathematics for Imaging and Optimal Design Under Uncertainty) (2011-2016). Editor-in-chief, Mathématiques et applications Series, Springer. Editor, Modelling and Simulation in Medical Imaging Book Series, Imperial College Press. Member of the editorial boards of the journals Asymptotic Analysis, Discrete and Continuous Dynamical Systems – Series S, ERA-MS, ESAIM P&S, Forum Mathematicum, SIAM Journal on Applied Mathematics, and SIAM/ASA Journal on Uncertainty Quantification (JUQ).